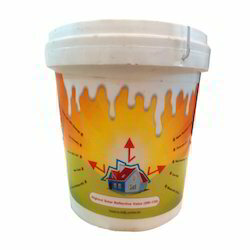 We are prominent manufacturer of Heat reflective Wall Paints. Heat Reflective wall paints are specially designed in such a way that help in reducing temperature of roofing material. Heat Reflective Wall Paints can be used on both roof as well as outer wall. Our Heat reflective wall paint can be widely used in various industrial and commercial projects. Star Glass Shield is a Nano Technology based transparent Super Hydrophobic Coating for Glass Solar panels. It is water and dust repellent. Star Glass Shield is easy to apply coating. Low cost and easy to maintain highly durable non-sticky coating. It has a bounce back above 120 degrees from the surface. 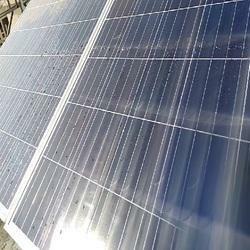 Increases the efficiency of solar panels. It is so minute that it can even repels up to 0.004 microns water droplets. Very useful for vehicle glass windshield making safe for drive during heavy rains. It is very hard coating also durable to weather effects. 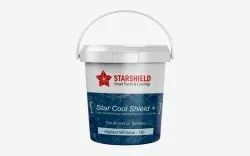 Glass can easily be clean with mild water wash.
tar Heat Shield is very Innovative and unique product of StarShield Technologies . Star Heat Shield, a Nano Modified transparent heat reflective & thermal insulating coating for glass, which not only reflects infrared rays but also makes the visibility of the glass clear by up to 95%. It forms a 12 microns thick clear lamination that bonds directly to glass surface of Window Panels in our offices, homes, Glass Fascia of malls, big offices & windshield of cars & other automobiles. 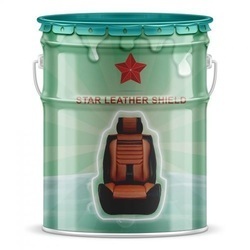 Star Heat Shield, is engineered with latest water borne Nano particles & an inorganic adhesive binder. It doesn’t get peel, crack, bubble or fade overtime & last up to 7 years with ability to block both radiant & conductive heat. Star Heat Shield, can effectively keep indoor environment cooler in summer & prevent heat loss in winter & is the ideal choice for retro fitting existing insufficient glasses.